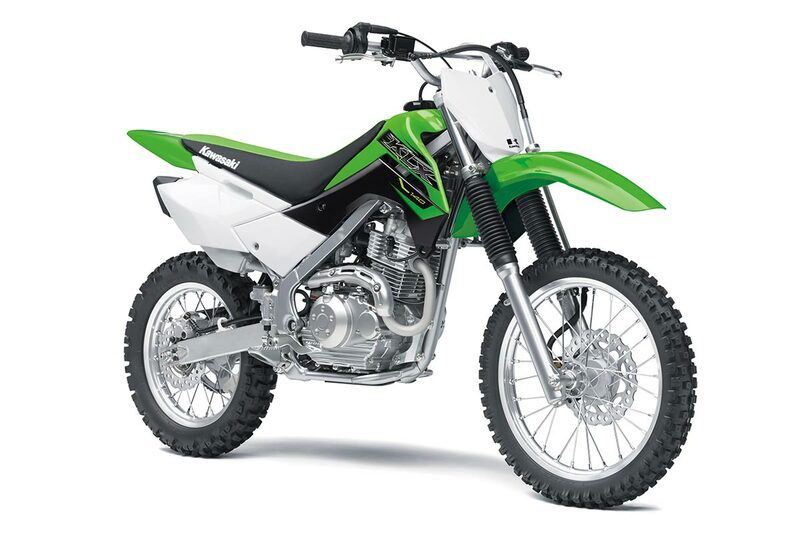 The KLX140 air-cooled single-cylinder engine offers a lightweight power plant that is both simple (to operate and to maintain) and reliable. 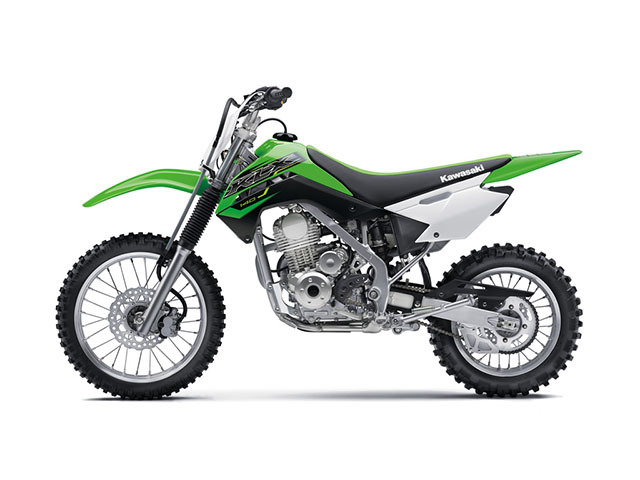 The 5-speed transmission and the manual clutch are easy-to-operate by young riders if moving up from auto clutch models. 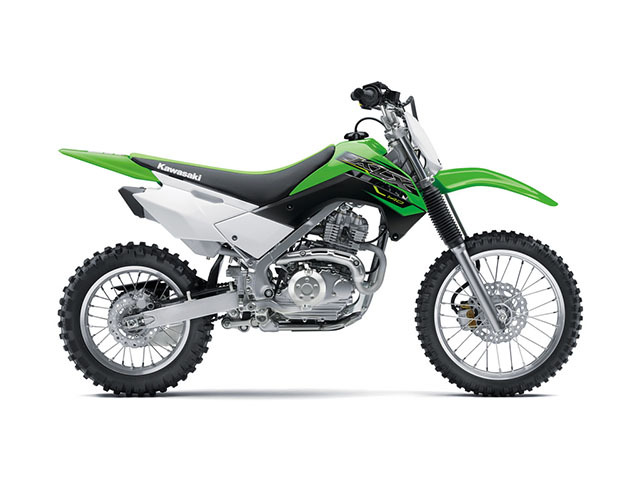 The KLX140 push button electric start and engine run-off controls are on the left handlebar. 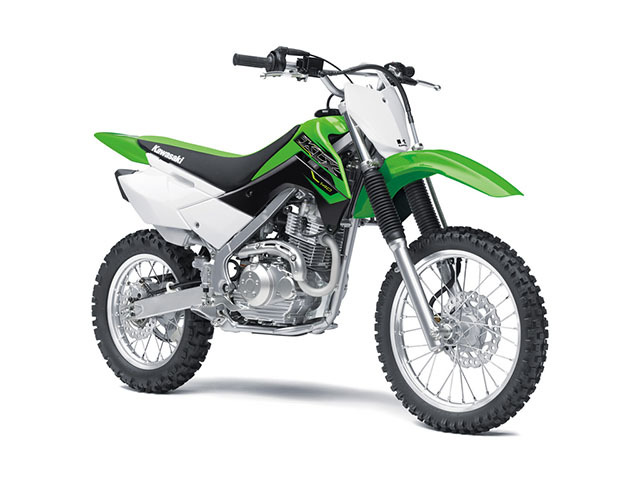 The aluminium swingarm on the KLX140 offers both light weight and increased strength. 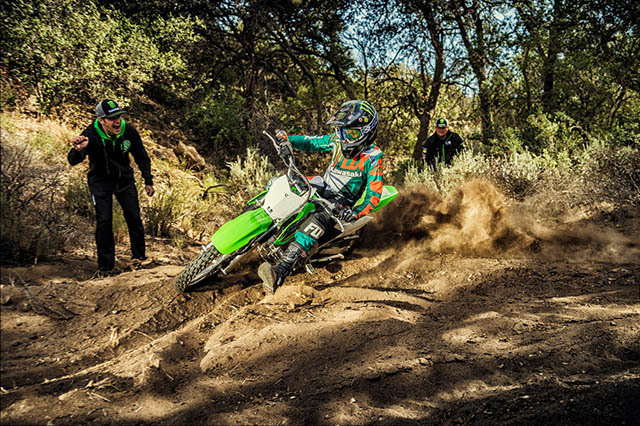 Like those on our KX machines, it features a hairline finish.KX racing-type chain adjusters allow precise adjustment of chain slack, helping to minimize drivetrain power transfer loss. 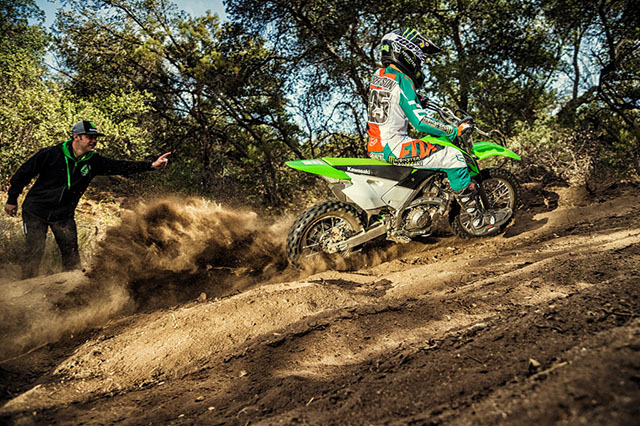 KX-style wheels with strong, high-grade die-cast hubs offer the same durability as those found on our KX racers. 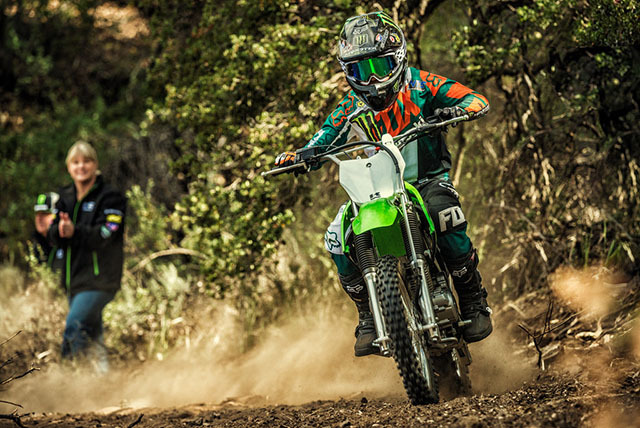 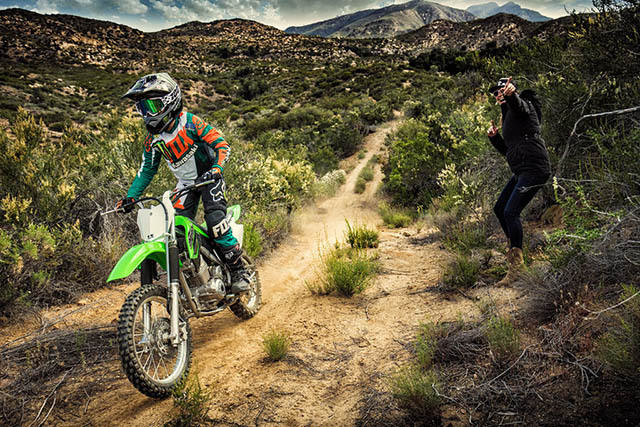 Like our KX motocrossers, the KLX140 features lightweight RK EXCEL aluminum rims. 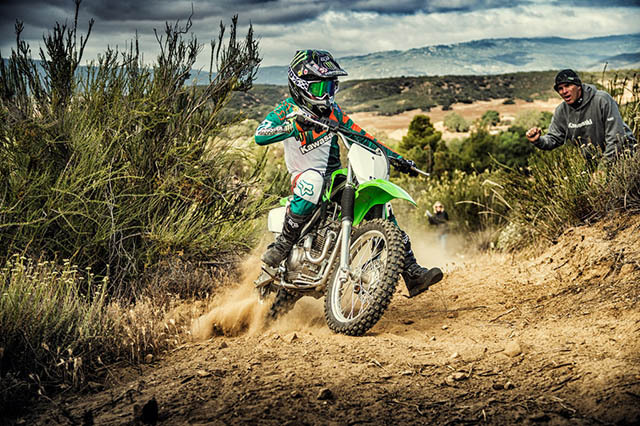 While most "playbikes" feature a disc/drum combination, the KLX140 has disc brakes front and rear for a high level of braking performance. 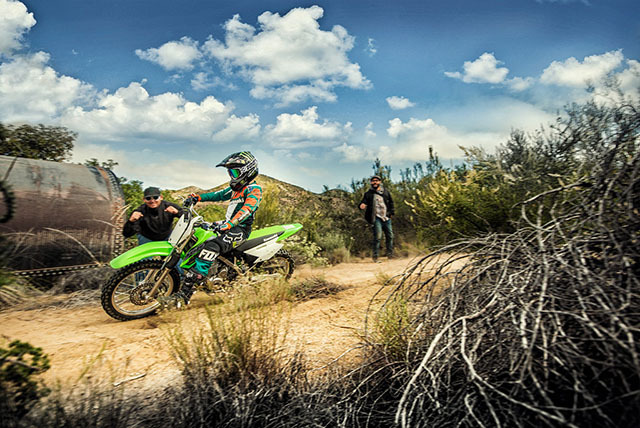 The 220 mm diameter front petal disc and twin-piston calliper offer strong, easy-to-control braking. 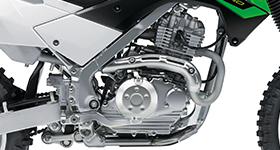 The rear wheel is slowed by a 186 mm diameter petal disc gripped by single-piston caliper. 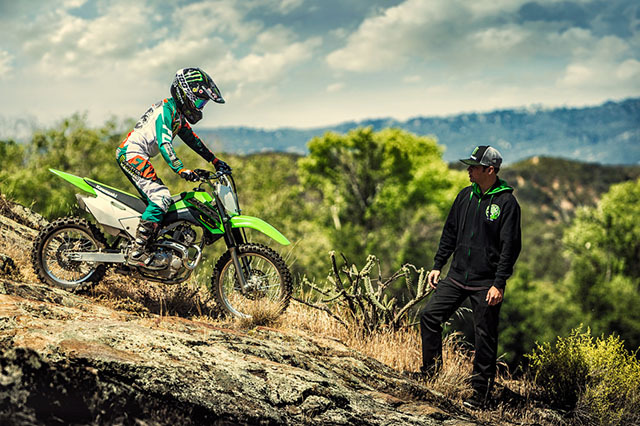 33 mm telescopic front forks on the KLX140 are matched to the Uni-Trak rear suspension featuring a 5-way preload adjustable rear shock absorber for superb handling and offroad ability. 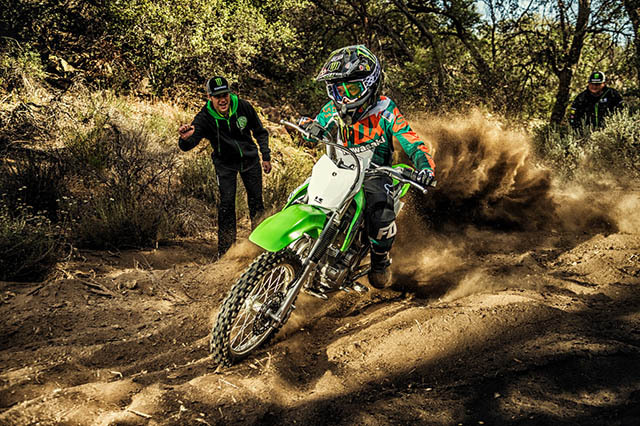 The KLX140 wheels are 17" diameter front and 14" diameter rear for a low seat height. 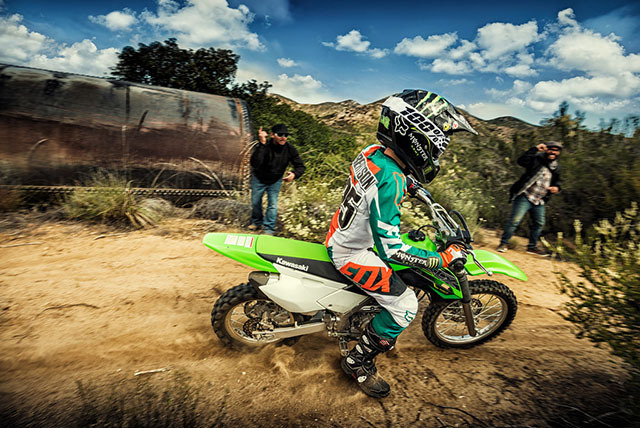 Larger than kid's bikes, and smaller and lighter than "full-size" play bikes, these KLX's are a perfect fit for youths. 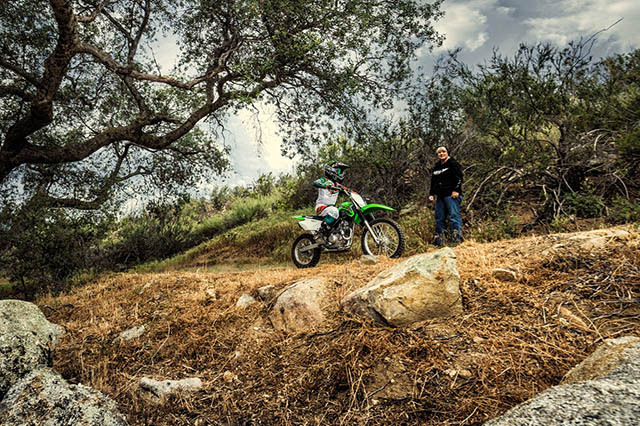 The seat height 780 mm is a nice compromise between the smaller kids bikes and full-size machines.